Tony Berg and Ethan Gruska produced the album (Photo courtesy of Dead Ocean). 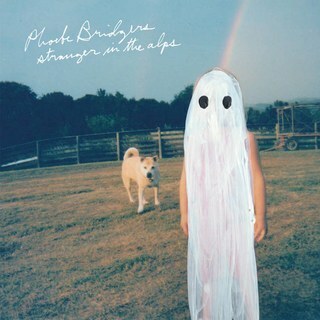 Phoebe Bridgers debut album “Stranger in the Alps” was released in the fall 2017, which was the perfect time for a record of this nature to be fully enjoyed. The acoustic, relaxed tone of the album is paired with sharp and meaningful lyrics that wholly encapsulate the feelings that the fall season evokes. The weather gets colder, the days are darker, and everything starts to feel a bit heavier. Listening to Bridgers’ album, I felt the weight of the emotions I didn’t even know I was feeling, yet also felt a cathartic relief in knowing that someone else could so elegantly convey thoughts and ideas I was sure I was alone in thinking. “Funeral” was one of the singles released prior to the album and after hearing this song, there was no doubt this record would be special. A heavy introduction of reverberating strings gives way to a lighter guitar solo mimicking the way dark clouds roll away following a storm, and the rest of the day is sunny and bright. The subtle use of a guitar and strings do not overpower her voice, but they instead amplify the tone and melancholy feeling in a way that is often so difficult to achieve. It is almost like watching a movie in the sense that the music is just in the background of this heartfelt scene. Bridgers tells short anecdotes in many songs, and it feels like a story is being read with the music as an additional touch. It is quite powerful, and one of the greatest aspects of the album. The album deals heavily with loss, pain and having to actually deal with the emotions that follow. Bridgers is so honest and blunt in her songs that makes one feel as though they could open up to her and tell her all of their thoughts and insecurities if they had the chance. A sense of trust is established because Bridgers never holds back, which makes for the most authentic type of album. Towards the end of “Funeral,” she sings, “And last night I blacked out in my car, and I woke up in my childhood bed. Wishing I was someone else, feeling sorry for myself, when I remembered someone’s kid is dead.” The candid nature of the whole album is really what makes it so impactful. “Killer” continues with dark ideas of sadness, self-doubt and instability, but Bridgers’ soft and even-keeled voice provides a sense of reassurance and comfort. Even though she is singing about rather depressing and subdued concepts, it is easy to find some solace in her calm voice and seemingly relaxed demeanor. There is almost a hopefulness that runs through the album because of this; even though things may seem dismal and that there might be no end in sight, there is usually a bit of positivity if you look hard enough. The acoustic nature remains steadfast throughout the album, but there is some positivity woven throughout. “Chelsea” has the vibe of a love song with broader ideas that speak to the impact someone can have on a person’s life. Likewise, “Motion Sickness” adds some drums to the song which provides some upbeat lightness to an otherwise gloomy track. The instrumentals throughout the album are fairly similar with an electric guitar and intermittent strings or the piano, and some contain an understated backing track. It helps the flow of the record feel natural and genuine, while also creating a distinct atmosphere when listening to the record as a whole. The final track is an instrumental reprise of the opening track “Smoke Signals” in which Bridgers hums the basic melody of the song. At only 34 seconds, it is quick enough to adequately sum up the album; it leaves the listener with a haunting feeling of despair, yet also with an understanding that there is more to come, and despair is not the only thing left to feel. Can fans trust the NFL?